Haken‘s newest progressive effort, Vector, has musicians at the top of their game making safe music that is sure to divide fans. 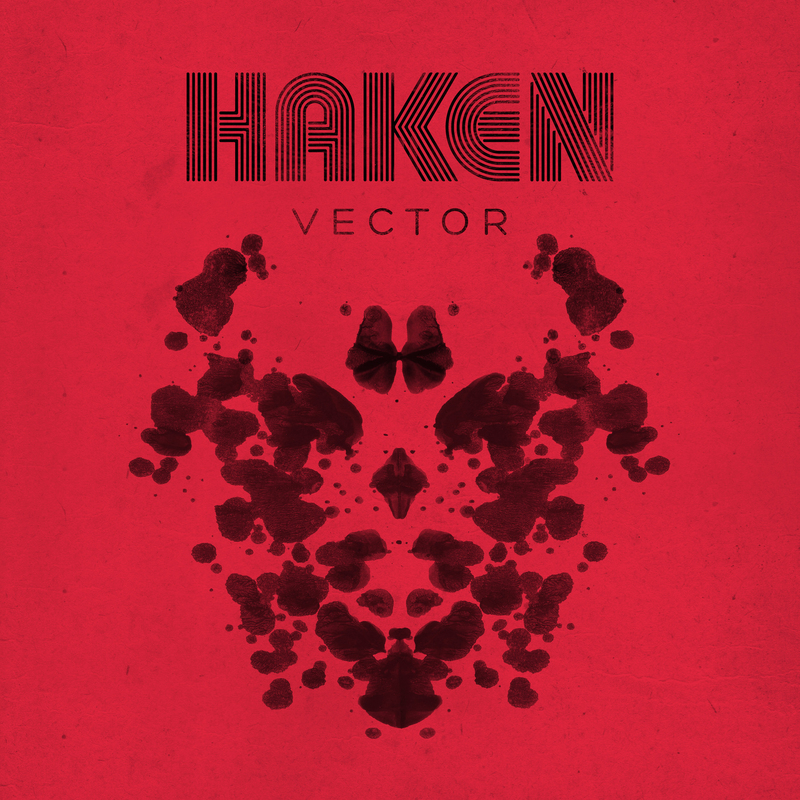 Two years off from their previous release, Affinity, and off the heels of a grand tour celebrating ten years, Haken is back to bring some fresh prog metal jams in Vector. It’s no secret that while their last effort was a success for the band for a number of reasons, it showed signs of a more streamlined approach to songwriting that gave some older fans pause. Vector poses a question, then: is this direction a permanent affair, or will the new record give us a bit more of the experimental and varied roots that garnered the band praise initially? Our staff writer John and I dig into the details of this 45-minute romp to answer just that and more. From the first hits on “The Point of No Return” on Aquarius to the chaotic beeping at the end of “Bound By Gravity” on Affinity, Haken has impressed and amazed me through four magical albums released from 2010 until now. And spoiler alert, they have continued to do so for another 45 minutes on their fifth album Vector. Though it’s their shortest album to date, you still get what you expect from London’s best. Setting the tone with a dissonant intro, “Clear” begins Vector with layered synths building up to the albums first single “The Good Doctor”. You all should have heard this jam by now. Highlighted by a funky slap guitar verse and a disturbing chorus of ‘Electricity is the prescription he needs/bring him back to society’. The song structure is pretty basic through the first few minutes with verses and choruses alternating. The real meat and potatoes is the break down in the middle with drummer leading the charge with his tasty drum fills. As stated before, “The Good Doctor” was the first single off of the album. Is it a coincidence that it is the shortest song on the album? We may never know. Vector really picks up with the third track “Puzzle Box”. The guitar work on certain parts of the song reminds me of older Cephalic Carnage. Haken brilliantly uses dynamics with huge choruses and lower verses and bridges. The end really builds up with arpeggiated synths and drum fills. “Veil” is a twelve and a half minute masterpiece taking the listener to so many places on the voyage. Vocalist Ross Jennings shines on this track with a really catchy hook. Haken focuses more on songwriting and premiering a more mature sound in Vector, but on “Veil” they go all out with multiple guitar and keys solos, which is what the Haken fan wants and loves: lots and lots of shredding. In the middle of the song, after building up to the absolute max, they drop out and go into a section led by an organ effect that has an Opeth feel to it. Guitarists Richard Henshall and Charles Griffiths trade off guitar solos for a good portion of the second half. This is definitely the pinnacle of Vector. Right after that, the madness continues with an extremely heavy instrumental track entitled “Nil By Mouth”. Seven minutes of syncopated djent riffs and China cymbal hits! About two minutes in is a dubstep breakdown reminiscent of “The Endless Knot” off of Affinity. Even as an instrumental track, “Nil By Mouth” is the heaviest song on the record. “Host” is up next with Haken‘s most mellow and mature song to date. Featuring cool electric piano, acoustic guitar, and the keys mimicking a trumpet at times, the intensity here is relatively low. Except for the end, of course, which sounds more like Porcupine Tree. Generally Haken closes out their albums with an epic long closing track, but not this time. Well, at least it’s not long, but it is pretty epic. “A Cell Divides” will stay in your head long after this album is finished. The final breakdown is extremely heavy and it ends abruptly, leaving you wanting more. Vector keeps growing on me listen after listen, but I still don’t think that this is their best work. It’s very solid and it holds up well with their discography, but I don’t feel the same magic that I felt with Aquarius or Affinity. When you’re a heavyweight in the prog scene, there is a lot of pressure to keep releasing epic albums. Even though it falls a little short for what I expect from Haken, it’s still pretty dang amazing. I won’t dwell on the continued change in direction that was hinted at in the introduction or what you likely gathered from John’s thoughts above. This is the matured, approachable version of Haken that has been touched on in the past. While “The Good Doctor” is easily the shortest and least creative of the songs this album has to offer, it is a good indication of the tone and approach used on this album. And to be clear, a more streamlined structure is by no means a bad thing. However, whereas in Affinity the entire album acted as an homage to 80s style prog embellishing the synth laden aesthetic, its results here are mixed. Simply put, it feels as if the group wrote these songs by taking the quality elements of the progressive handbook they helped contribute to this last decade, but forget to add the heart of what defined albums such as Aquarius and The Mountain. That’s all very abstract, so let’s get a little more specific. The one standout change that had the largest impact, if not the most overt, is how the trademark singable choruses Haken is known for now exist in the absence of a more experimental instrumental palette and in the presence of a more restrained vocal arrangement. If you take a song like “Host” off the new record, and compare it to something similar from an older album – such as “Earthlings” – you can hear exactly what I’m getting at. In the latter, the focus on the experimental soundscape is what helps support the vocal elements, though how much of that is production versus expression is up for debate. The chorus remains simple, but the verse has more varied phrasing and pitch. That lack of these moments lead to a much more forgettable experience that works more as a demo template than a full release. The worst offender of this is “A Cell Divides”, which has some nice riffing that opens the song, only to have one of the weakest choruses from both a phrasing and musical standpoint the band has put out thus far. I’ve been coming off as mostly negative in my critique so far, but all is not bad here. If there is one thing this record does better than previous works, it is in letting Ray Hearne have more freedom behind the kit. The stronger songs on the record contain the most aggressive and consistently intricate drums segments we’ve seen from them, and coupled with the more analogue sounding keys, it creates some really engaging pieces. The chording in “Puzzle Box”, most of the standout track “Viel”, and tonally in the mildly derivative “Nil By Mouth” keep your attention with their production and performance as much as the songs themselves. I would go as far as saying that these moments of this record may be the most impressive from a technical ability standpoint the band has ever displayed. Vector bleeds comfort in design. This is a group of musicians clearly at the top of their game in writing sessions where everything falls into place naturally – not unlike the criticism leveraged against a slightly older progressive monolith that will remain nameless for sake of repetition in argument. These are not poorly written songs (save perhaps “A Cell Divides”), but they are safe, lacking the nuance and atmosphere that elevated their prior music. This is a pivotal time in their careers, and what should have been a home run to solidify their name into the pantheon of prog greats has simply gotten them to second base, needing a solid follow-up to truly reach those heights. Next PostMartin Baltser - "The Wasteland Incident"